It has finally happened: nail art has progressed so far beyond the normal realms of fashion that we’re not even dealing with nails anymore. Yes, the time has come that tiny snow globes have been added onto finger tips in the form of aquarium nails – we kid you not. 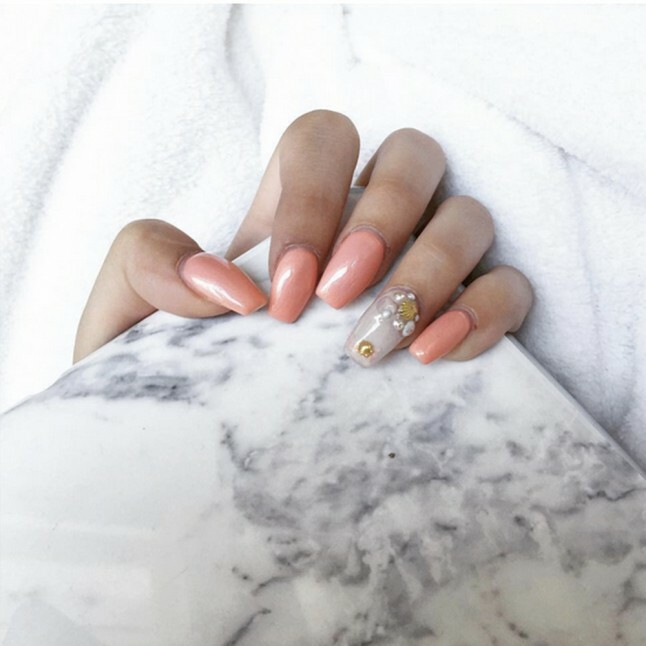 While this beauty trend isn’t exactly brand new, it’s been given new lease of life after going viral with a masterclass by Texas-based Tony’s Nails reaching a whopping 24 million views. 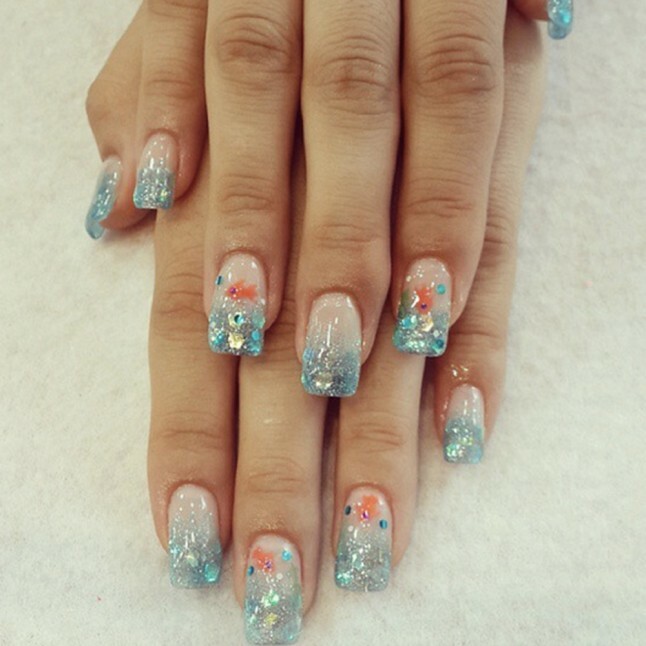 Aquarium nails or ‘aqua tips’ aren’t your ordinary, two-dimensional manicures. This ridic nail trend brings 3 dimensional, moving liquid right to your digits. If you’re into that kind of thing. A quick glance at Instagram (our measure of all things cool), really does confirm that mermaid nails are a thing right now. Essentially, aquarium nails are made when a double-paned acrylic is injected with baby oil and a whole lot of glitter. In other words, everything that shouldn’t happen to a mani is now happening. Yep, concealed beneath the surface of these nails, you’ll find small capsules filled with liquids to make little gems and glitter float around inside of them. So basically it’s like having mini snow globes stuffed inside your mani. Strange, but true. 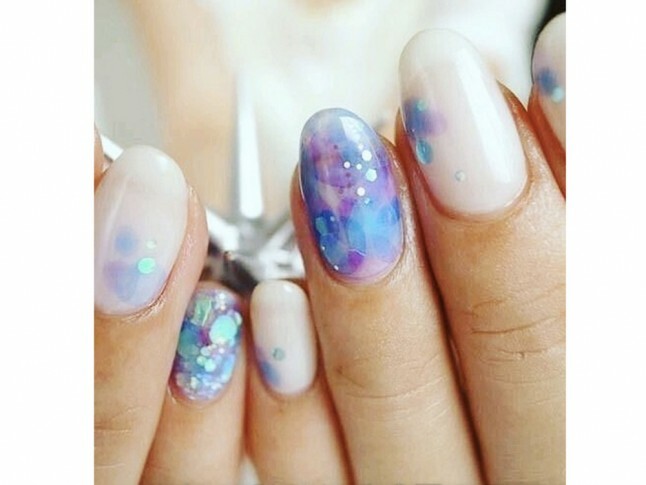 While you can take it to full mermaid levels, we reckon it’s a whole lot more desirable with just a hint of mermaid to an otherwise subtle manicure. While mermaid, sea-like themes had a moment on the Mary Katrantzou and Peter Pilotto catwalks last summer, in beauty it’s really amping up. But if you’re not ready to take the plunge and commit to dyeing your hair a siren-esque shade of blue a la Kylie Jenner, you’ll be glad to know there’s aquarium nails. But what we really want to know is, whatever happened to lick of classic red polish?